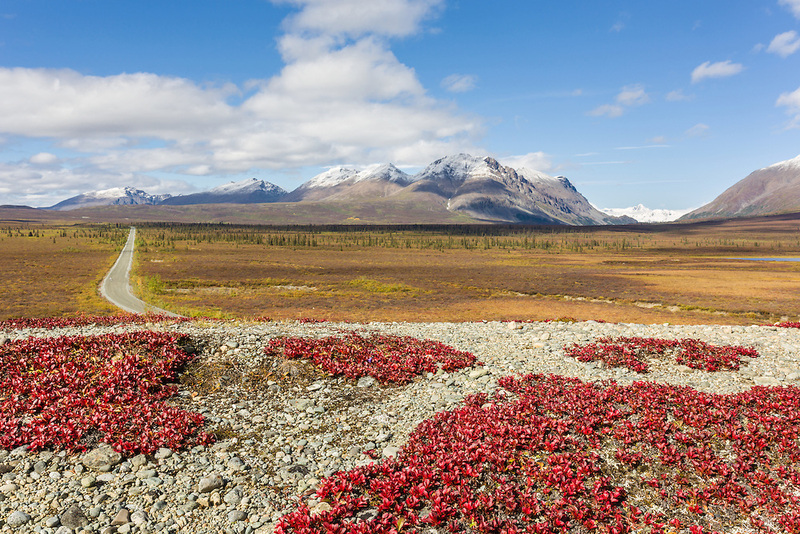 Bearberry leaves in the foreground with Mount Moffit and McGinnis Peak of the Alaska Range seen through Landmark Gap in the background along the Denali Highway in Southcentral Alaska. Autumn. Afternoon.